Although comedic actor Jim Carrey has been drawing and painting since childhood, he got the itch to go political about seven years ago. 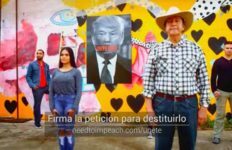 Now with Twitter as a platform, he’s being scratched back — especially with his portrait of White House press secretary Sarah Huckabee Sanders. Carrey stands accused of sexism for the Sanders piece. Cook-Wilson says the Sanders work is one of Carrey’s most fleshed-out and visually pleasing works. Now Carrey has gone back to a favorite subject: Donald Trump. 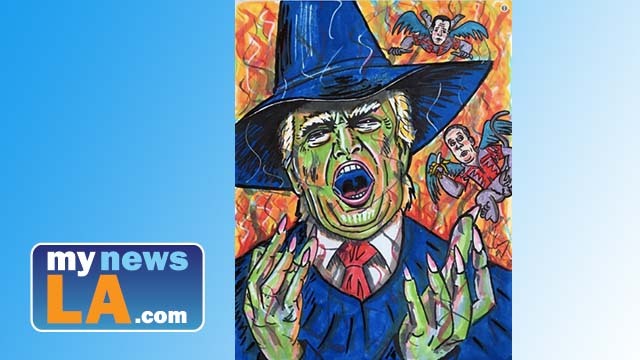 “He unveiled a new one portraying … Trump as the Wicked Witch of the West from ‘The Wizard of Oz.’ Carrey captioned it, ‘The Wicked Witch of the West Wing and Putin’s flying monkeys,'” said USA Today. 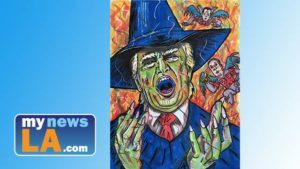 Carrey’s website says his other serious art, including oil paintings, can be viewed at Wyland Galleries Beachwalk in Waikiki, Hawaii, and Wyland Galleries Lake Tahoe, where he is a permanent artist.